Mark Shaw enlisted Captian David and the Explorer for a fishing trip today that took them all around the Garza area and brought great fish for the table and the trophy room. 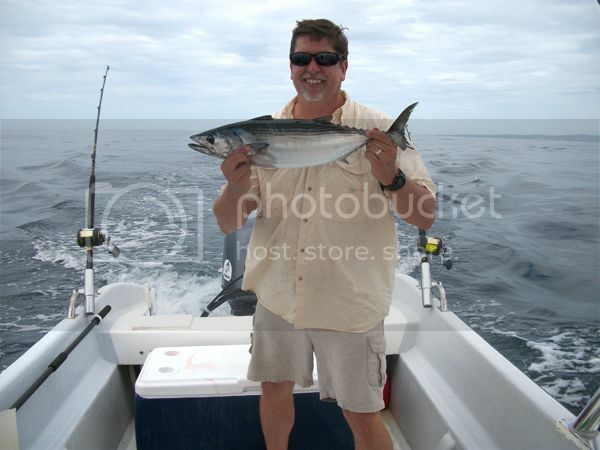 In the morning they stayed inshore and around 9:30 bent the rod with this nice White Tuna. 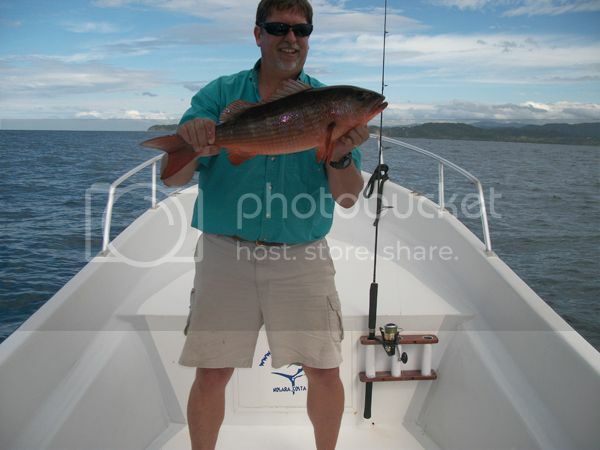 With dinner in the box, Captain David headed offshore to blue water where Mr. Shaw had chances at lots of fish. 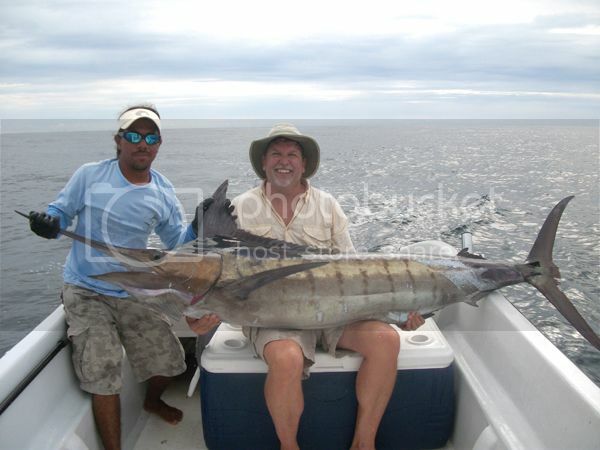 Around noon they lost a big Dorado and soon after a sailfish. A hour of near-misses passed, then the fish of a lifetime came barrel-rolling through the spread. Mate Pipio saw him first and alertly pitched a rigged ballyhoo down the exhaust alley. 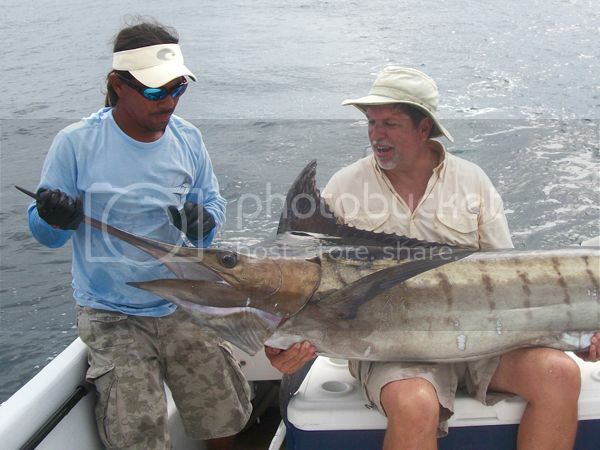 The Black Marlin showed his bill as he snatched the bait, and Mark buckled in for a wild ride. After 20 minutes of combat this 200lbs. 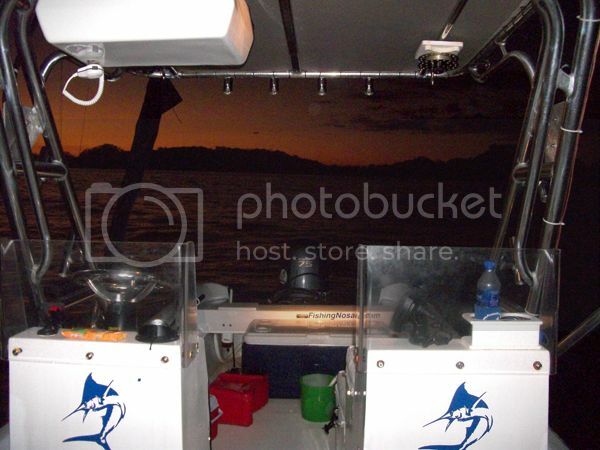 Black Marlin gave up the fight; Perfect bill and release by Pipio to ensure the safety of the fish and angler. The Explorer proves once again that big billfish don’t care how big the boat is, so long as the right Captain, angler, and tackle are on the scene to take care of the job. Great fish, great release, great trip for Mark Shaw!